Protein is the building block for muscle. Without the proper amount, your muscles won’t grow. Make sure to intake 2 grams per pound of bodyweight to grow into a lion. Protein also helps with fat loss by increasing muscle mass, taking up more space in your stomach and curbing sugar cravings. Creatine is converted by your body into energy. Your body produces creatine but with supplementation, you’ll have more to work with. 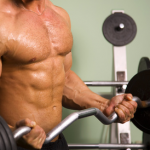 Increased energy output equates to working harder at the gym which stimulates fat loss and muscle growth. One thing to note is that you will feel and look bloated while on creatine due to water retention but bloating will subside once you’re off. If done right, we wouldn’t be surprised if you gained a few lbs of lean muscle after a clean creatine cycle. Most Americans tend to eat the same things day in and day out. What this means is that you’re missing many of the essential nutrients to promote muscle growth. Well, orange triad has pretty much everything in there. It has almost every single vitamin you’d want and many minerals you’d need. This might be a little more expensive than your regular vitamin brand but this has MUCH more. It also recommends 6 tablets but honestly, you can halve that. There are many people who don’t have fish in their diet. What this means is that you’re missing many of the essential fatty acids needed in a proper diet. Fish oil has also been touted to have small fat loss promoting properties. Long story short, get your fish oils.